Promoting health and wellbeing in school can help pupils lead long, happy lives. Here are some tips for encompassing the 'whole package' of wellbeing in your school's approach. 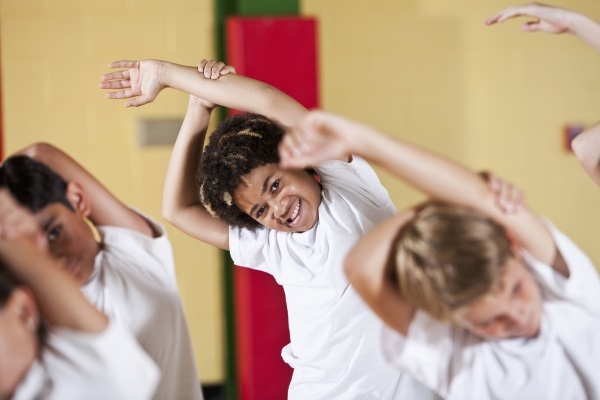 It is undeniable that schools have a responsibility to promote healthy lifestyles. There is little point in developing children intellectually without focusing also on other aspects of life and living that can help them to grow into happy, healthy individuals. However, living with a sense of wellbeing is not merely a bit of exercise now and then. It’s a whole package involving physical, mental, emotional, spiritual (secular or religious) and intellectual health and wellbeing. Favouring one over another may well lead to just the kind of imbalance we are seeking to eradicate. There are very obvious pitfalls, though. If we are seriously interested in supporting children to develop a healthy lifestyle and all round wellbeing, we need to be extremely careful of the messages they get from the way in which staff are treated. Is teacher workload so great that teachers are unable to do the job without a significant negative impact on their own physical and mental health? Are we trying to send one message of balance and wellbeing to children while battling the ill effects of imbalance at work ourselves? Another pitfall to avoid is the promotion of dubious information. I recall being told by a health visitor that my baby – a tall, slim yet hungry boy – should be eating ‘anything in the bread aisle’ to fill him up. When I questioned the nutritional value of some items laden with sugar and salt I was told that ‘if they sell it in a supermarket, it’s okay for your son’. I have also been told that the sugar in fruits and vegetables can cause obesity. Professional opinion obviously varies significantly on these matters so how do we ensure that the information we are giving children and their families is accurate and reliable, with a very clear evidence base that is in the public domain? Increasing health related knowledge is a good thing, but what if that knowledge has no foundation? It seems that anecdotally there is a concern that schools should not have to play the role of medical centre, therapy room, leisure centre and out-of-hours restaurant when the specialism of staff is education. Without substantial financial support it is extremely challenging for schools to achieve healthy schools goals successfully. As a mere glance at mainstream media will suggest, the finer details of precisely what constitutes a healthy diet, what kind of exercise should be done and so on remain up for debate. and exploring the features of healthy relationships. There are almost certainly local initiatives to support any of these. Educational psychologist Tina Rae explains how positive psychology can be used to boost overall pupil wellbeing. Healthy schools are an opportunity to influence the choices young people make for the rest of their lives. This is about encouraging lasting change and developing the idea that healthy is desirable. It’s also about engendering the notion that we all eventually have personal responsibility for our health and wellbeing and that with the right help, we can get back on track should wellbeing take a hit at any stage. And while engagement is one thing, participation and sustainability have to also be priorities. The whole school community, teachers and parents too, must be on board. Let no person be left out.